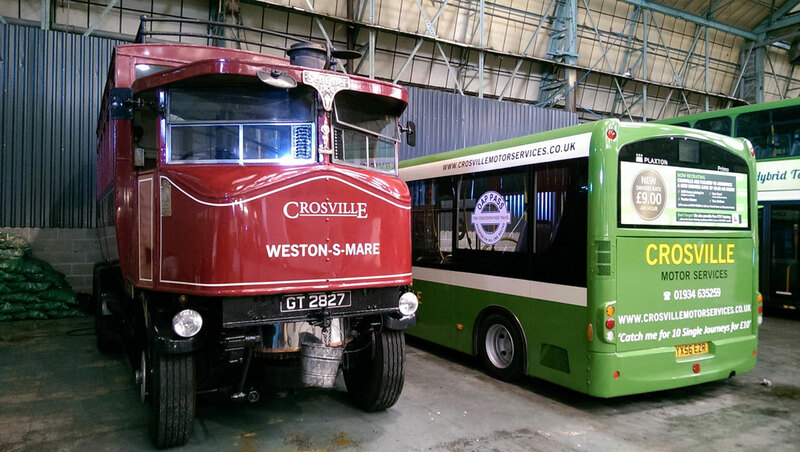 An unusual bus has joined the Crosville Motor Services Heritage Fleet and is being prepared for public service. 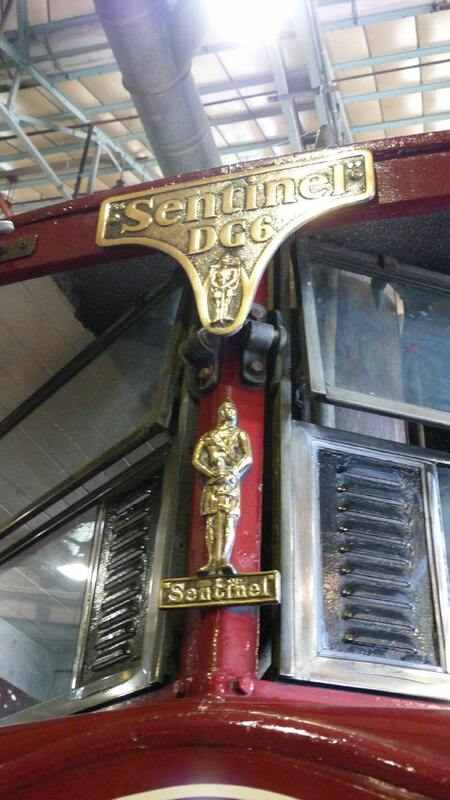 This is ‘Elizabeth’, a 1931 Sentinel DG6P steam waggon which was converted to carry passengers in 2006 by the addition of a specially built body. Until last year she was running in regular tourist service in the Yorkshire town of Whitby. Elizabeth was delivered on a low loader (still in steam) in July and has since been tidied up cosmetically. This includes the application of Crosville fleetnames. I took a few photos of her in the Crosville garage when I was up there recently. I have to admit she looked rather incongruous, parked among all the regular service buses! If all goes well, the steam bus will operate in Weston-super-Mare on a number of dates in August and September on a special 40-minute tour route, starting from Princess Royal Square. See the Crosville website for details and updates. 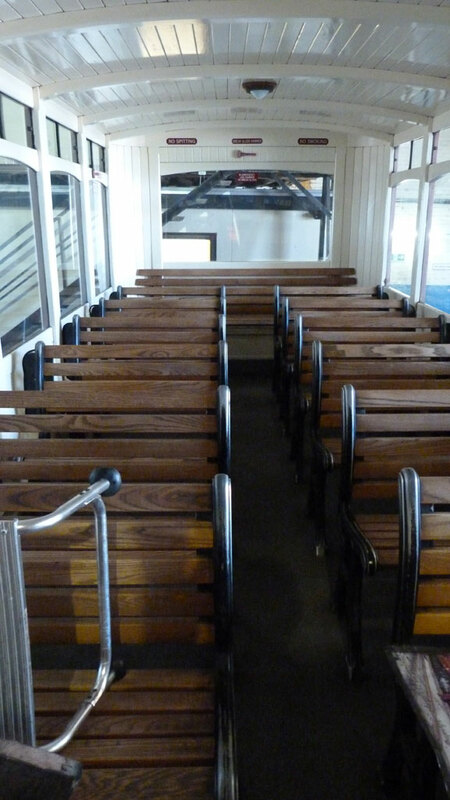 The 30-seat body was constructed for the previous operator in Whitby and has wooden slatted seats. The passenger saloon is separate from the cab so that soot and smells are kept to a minimum. Here’s a link to a YouTube video of Elizabeth at work in Whitby.